How to Deploy A Server article discusses the current state of the art when it comes to deploying servers. Through the years, the ways that sysadmins have installed and configured servers has changed as they have looked for ways to make their jobs easier. Hopefully How to Deploy A Server article gives you ideas to improve your server deployment strategies. Microsoft is cranking up the price of its Datacenter edition of Windows Server 2012 for the forthcoming R2 release – it’s up a whopping 28 per cent on today’s price tag. The Windows Server 2012 R2 Datacenter edition, which offers unlimited virtualisation rights, will cost $6,155, according to the new licensing data sheet [PDF]. The Datacenter edition for today’s Windows Server 2012 costs $4,809. The price of the Standard edition for the next version of Microsoft’s Server product remains unchanged at $882. Standard edition provides just two virtual instances – which Microsoft has rebranded as “operating system environments”, or OSEs – per licence. The price of the Essentials edition is also unchanged at $501. The Windows Server jump caps a record year for Microsoft according to veteran Redmond licensing expert Paul DeGroot. He claimed in a tweet yesterday that 2013 had seen “a record number of price increases” from Microsoft. Microsoft pitches the Windows Server 2012 R2 as being built for “highly virtualized private cloud environments.” Clearly it wants to steer big businesses towards the Datacenter edition, by setting the cut-off limit of “OSEs” in Enterprise at just two. 1. 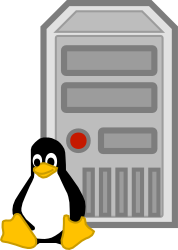 A cloak room is not a server room, even if you put servers inside. 2. You cannot power 100A worth of equipment from a 16A wall socket. Not even if there are 2 of them. 3. You cannot cool the above by opening a window and puting two fans in front of the computers. A domestic AirCon unit won’t do much good either. Also, don’t put drippy things above sparky things. 4. Ground lines are not for decoration. They need to be used and tested regularly for safety. 5. DIY plugs cannot be wired any which way. Not even in countries that allow Line and Neutral to be swapped. 6. The circuit breakers at the end of your circuits are part of your installation. 7. You cannot protect a rack of equipment with a UPS from PC World. If you really need this, you’re going to have to buy something which is very big, expensive and very very heavy. And the batteries are only good for 3 to 5 years. 8. Buildings have structural limits. You cannot put several tonnes of densely packed metal just anywhere. Know your point and rolling loads and then check the building. 9. Electrical fires are nasty. Chemical fires are worse. You need stuff to protect the installation. 10. If you want 24h service, you’ll need 24h staffing. A guy that “does computers for us” won’t do. 11. A 1 Gbps uplink cannot feed 48 non-blocking 1 Gbps ports. 12. Metered and managed PDUs will save you bacon one day. Buy them. 14. My favourite: Don’t blow your entire equipment grant on computers. All the stuff above costs money.